Stars change their hair styles every season. And each time they do, women the world over race to their salon to get the latest celebrity hair cuts... only to find out the hard way that what suits one person doesn't necessarily suit everyone. The key to "creatively borrowing" is to choose certain features you like and then adapt it into your own unique style! - Check out our collections below and get inspired. 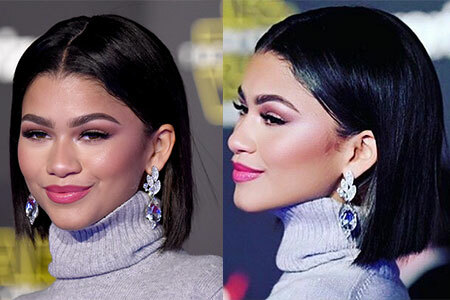 Rito Ora wore this beautiful sleek straight blunt bob during DKNY 25th Anniversary after modelling at New York Fashion Week. As for outfit, she went for a graphic printed set in monochrome patterns and a white jacket. 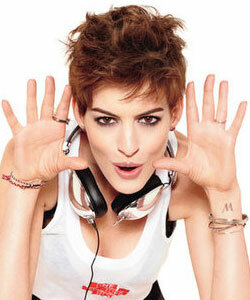 Anne Hathaway on the cover of Glamour Magazine and she looks sensational - January 2013. 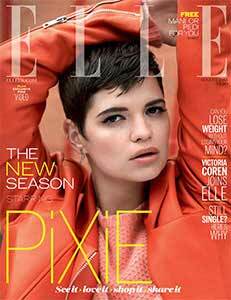 Pixie Geldof with her famous pixie cut and daring personal style on cover of ELLE UK Magazine for August 2013. "I rather dress bad and funny than boring"